Over time, there's been a fair share of questions on how to pull apart the doors and remove windows etc. 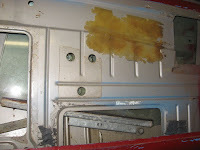 I've just pulled apart my doors in preparation for sandblasting so I took some pics and here's a little step by step on how to dismantle the entire doors. 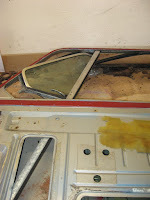 This involves removing the lock mechanism, the main window glass and 1/4 glass window. Note that the winding mechanisms have changed over the years so this won't be relevant to every Mini and I'm unsure which years this will relate to. Edit : Make sure you mark which parts are for the LHS & RHS doors as pretty much every piece is different between the two doors. 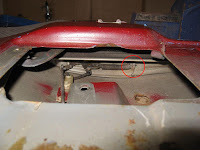 This can be removed before or after and window assembly is removed. In my case it was before. 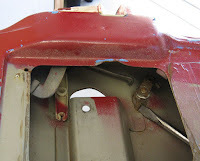 Remove door trim and unscrew interior door lever. 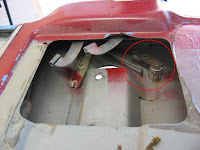 Remove 2 threaded connecting rods from door handle and lock mechanism arms. 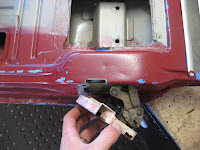 Remove 2 bolts holding exterior door handle. Unclip small rod holding door handle to lock mechanism, and remove door handle. Unclip key barrel from other mechanism, lever off round circlip around key barrel piece and push out the barrel. Unclip spring attached from to door latch to door. 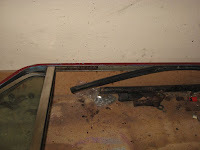 Undo 4 screws holding exterior lock to the side of the door and remove assembly - twist to get top 2 small arms out. Wind down the window fully. 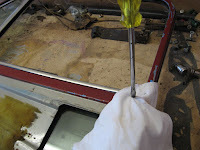 Remove the inner door glass felt and outer door glass rubber (at the base of main glass). This can be done before or after removing the chrome strips. 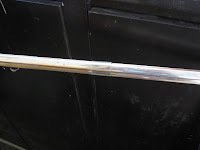 Remove chrome trim from the inside & outside of the door frame - these are held on by clips so use a flat blade screwdriver and a rag and lever/twist the screwdriver head and force the strip up. 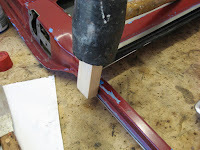 Move along the length of the strip, lifting a little at a time and repeat until you can remove the entire piece. Remove the chrome strip on outside of door frame. Lever off the chrome piece that covers both chrome pieces first. 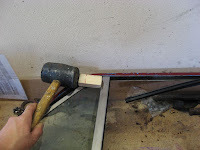 Hit the outside edge with a hammer & small block of wood and then lever off the inner side with a screwdriver (covered with a rag ... unlike the pic below). 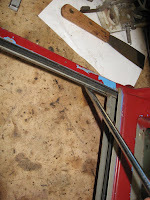 Undo the 3 small screws on the outside of the door frame holding the quarter glass in place. Pull out part of window felt seal. Open the 1/4 window slightly and force the vertical frame sideways. Pull out the 1/4 window and vertical frame in one piece & lever off remaining clips. Remove clips along length of gap. Wind up the glass slightly, rotate main piece of glass so that the bottom runner comes off lower roller and remove entire glass piece from top gap. Wind up window slightly to expose all three philips head screws in middle of the door holding the main arms in place. 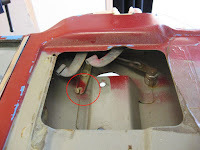 Undo 3 screws in middle of door and undo 4 bolts holding winder & spring assembly in place. 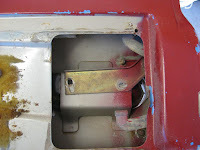 Feed whole mechanism out of large hole in the door. Last edited by Mearcat on Wed Jan 27, 2010 5:01 pm, edited 1 time in total. Thanks for that Alan, I'll be re-assembling mine shortly and had forgotten how I pulled them apart. Give Ash some flowers Nick . I think it would be good as a how to and it would always be easier to find in there too. Thanks for taking the time to do a write up for the forum. ALL RIGHT! Finally I can tackle that mangled window winder mechanism in my passenger door! many thanks!